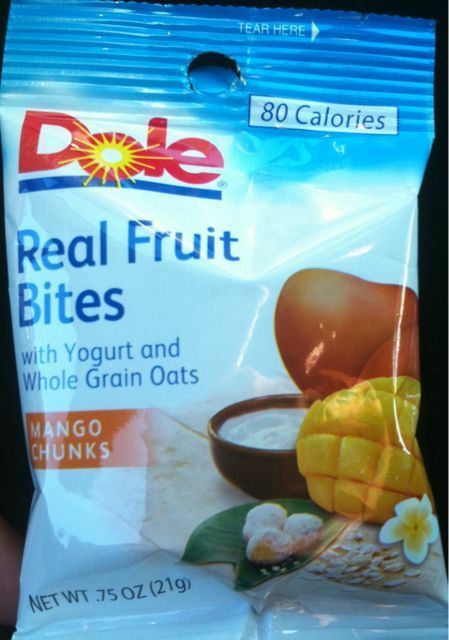 I recently purchased dole real fruit bites and was very happy with the product. I was not happy with the package. I was unable to open the bag without using something to cut the seal , this was a real problem for me. I couldn’t even pop the bag open. The bag says to tear open , but that is litterly impossible to do. If there is a trick to opening this product , please let me know what it is. I haven’t had that problem yet, each bag should have a small notch to start the tear open process, but if it isn’t there I can see how getting it open would be difficult! You should write to Dole letting them know that they should make the notch a little bigger! I think I’ll send them an email too, maybe they’ll reply with coupons! I just tasted this snack from a coworker and I love it!!! Please tell me where I can purchase this item. I’ve been looking everywhere!!! Most Major grocery stores carry, usually near the prunes! If they don’t, ask a manager to stock it!